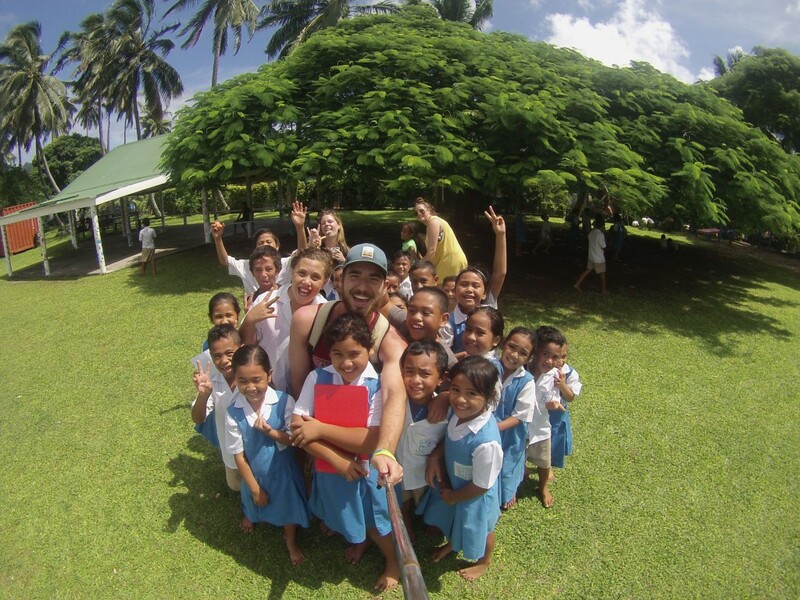 We got to spend a day at a local elementary school in the Cooks! These kids demanded piggyback rides. Two of the best weeks of my life just flew by. For mid-semester break, I had to the privilege of spending a week in the paradise that is the Cook Islands. It was an incredible time to be fully immersed into a beautiful, unique culture that welcomed us with open arms. This trip was organized with IES, the organization that I am studying abroad through. For a fair price, we had our airfare, lodging, meals, and numerous activities covered. I don’t even know where to begin with the adventures that we embarked on during this trip. I will touch on a few. One day, we went on a cross-island mountain bike tour where we picked fresh starfruit, bananas, coconuts, and more from trees. We biked along the shore and through the thick forest of the island. Butterfly fish! 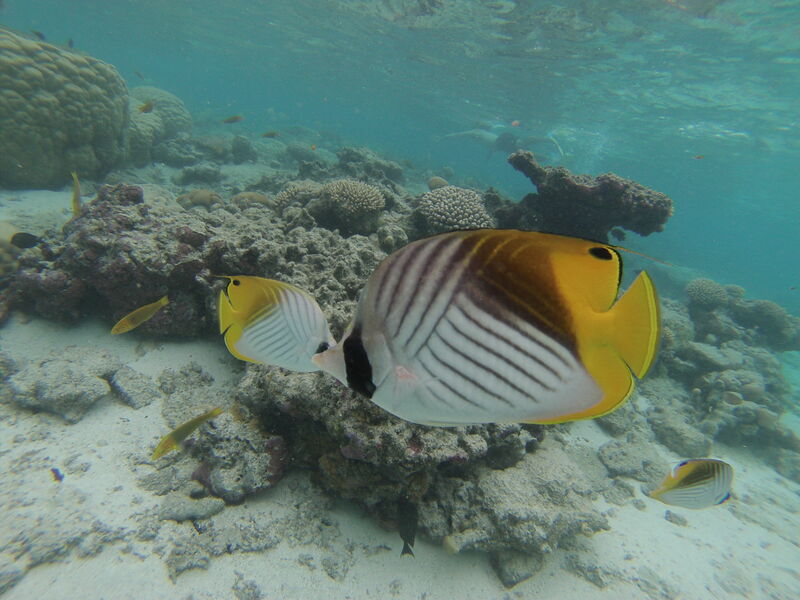 One of the many beautiful species in the Cook Islands. It was magnificent. Another day, we went snorkeling in the crystal clear, coral filled waters. I got lucky enough to see hundreds of magnificent, bright fish, several Moray eels, and even an octopus. The Cooks are the definition of paradise. After leaving the Cook Islands, I was beat. 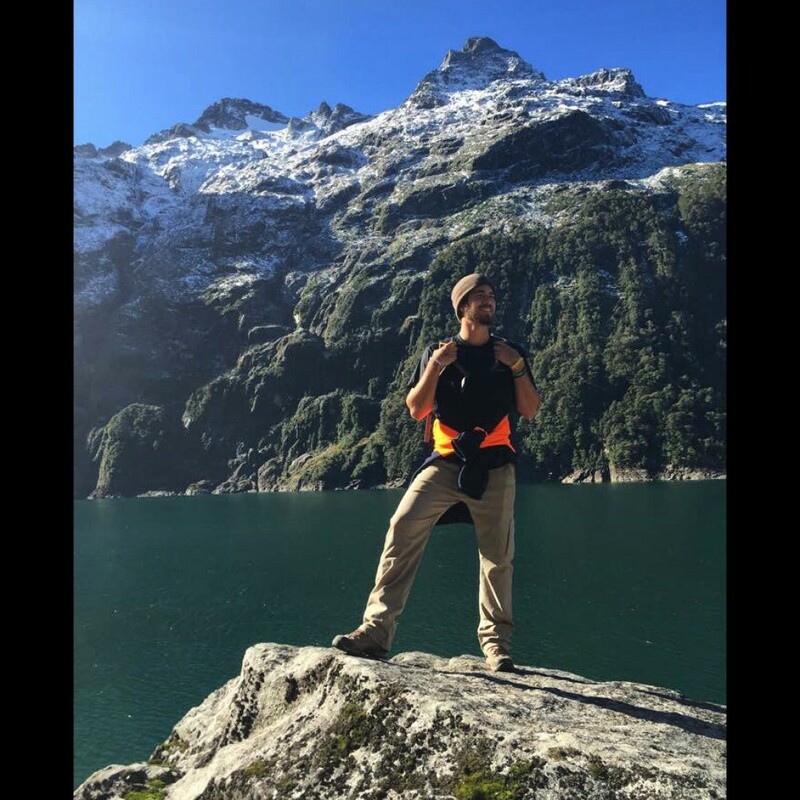 However, I had a another week of traveling planned down the South Island of New Zealand. I had no idea what I was in for. Flying into Queenstown was intense to say the least. The first snowfall of the year came early and it hit hard right as I landed. Three of my friends were supposed to meet me in Queenstown but their flights got pushed to different cities because of the dangerous conditions. It was a rough start. However, we all managed to meet up later in the night and get back on track. The first two days of the trip were remarkable. We went on an overnight kayak tour through Doubtful Sound in Fiordland National Park. 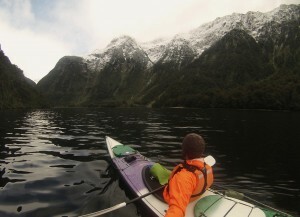 Kayaking through perfectly still waters surrounded by jagged, snow-capped mountaintops has been the most beautiful scenery I have experienced since being in New Zealand. Words and pictures can’t give it justice! After our kayaking trip, we went back to Queenstown where we explored the night life and ate at some of the iconic restaurants of the South Island. We capped off our trip by bungee jumping at the top of the Skyline Gondola in Queenstown. One week in the Cook Islands and one week on the South Island. I couldn’t have asked for a more perfect mid-semester break.